I would submit a support ticket on this with your regional D-Link support site and reference this forum thread. I may do the same for the 890L. This seems to be and issue with the DIR-895L and DWA-192 and Windows 7 and 10. 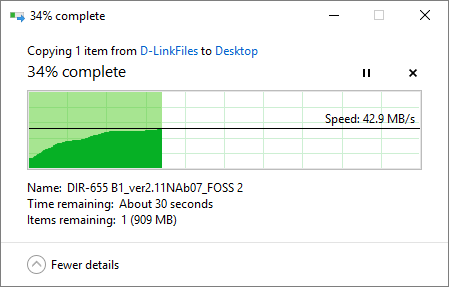 Hi, so i got ~30 MB/s when i copy from WD Passport (hdd ext 2.5) that connected to DIR-895L USB 3.0 port. There was new firmware released on the support site on 1/13/17 for the DIR-895L/R. If you haven't already, I would give that a try. Definitely let us know if it still hasn't helped. I Have also brought the other issues to the attention to my group and am awaiting a response. Thank you. Hope we can figure this one out for this model router and others with using the DWA-192 as well. I wonder if this could be a factor in Windows 10 as well? It is only recommended to change this setting in saturated Gigabit LAN environments, where you do not want to give priority to multimedia playback. Reportedly, disabling throttling can also help reduce ping spikes in some online games." 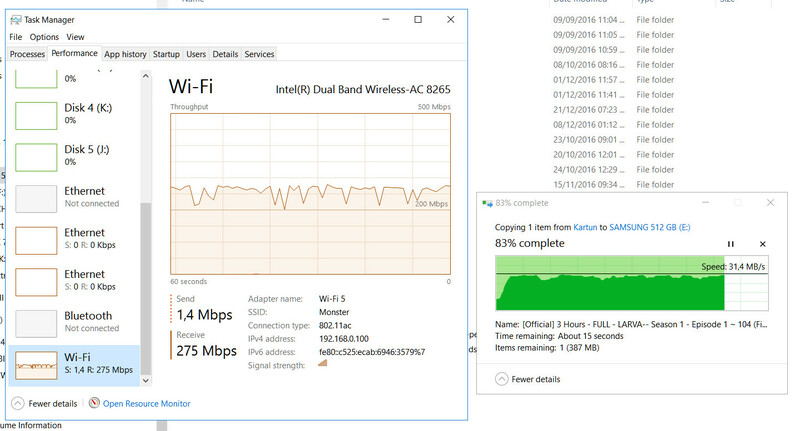 Speed improve from ~20 MB/s to ~30 MB/s, maybe Dlink can fix/improve firmware to make this faster like we use Killer 1535 adapter card..
Haven't had a chance to test yet.